Wanted to share these two wedding band projects. They are very different, but both were a lot of fun to work on. And, of course, it’s always fun to be involved in someone’s love story! 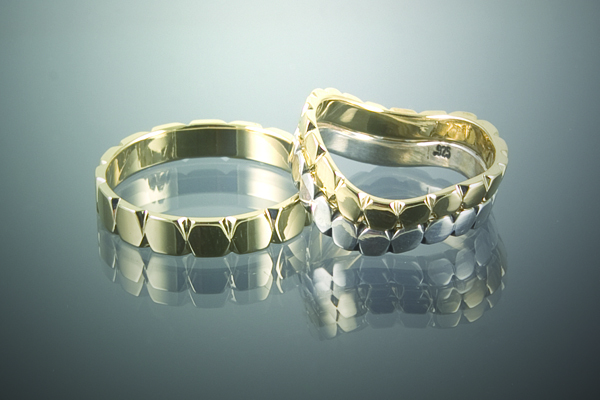 These hand carved wedding rings are made from 14k yellow gold and sterling silver. 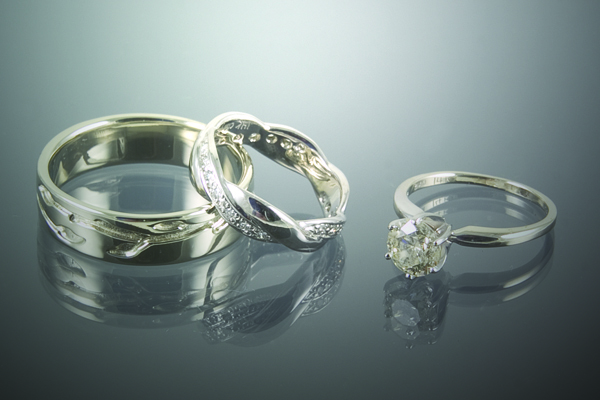 This is a 14K white gold wedding set. The gent’s ring is the Tree Branch Ring II, and the woman’s band is a hand-carved Infinity Band with pave set diamonds.